Infallible Techie: How to add a new component in MavensMate for Salesforce? How to add a new component in MavensMate for Salesforce? 1. 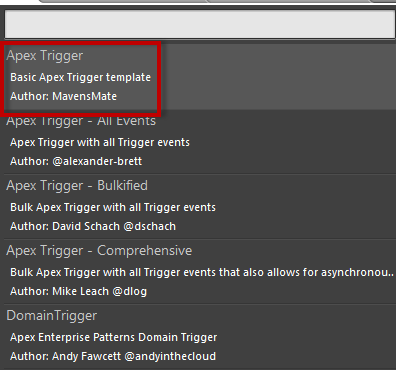 Go to MavensMate --> Metadata --> New Apex Trigger..(for example). 3. Enter Trigger Name followed by comma and Object API Name.